The essence of a character’s appearance is their profile. Head, face, shoulders—all the parts that get sculpted in a bust—should work together to be instantly recognizable. 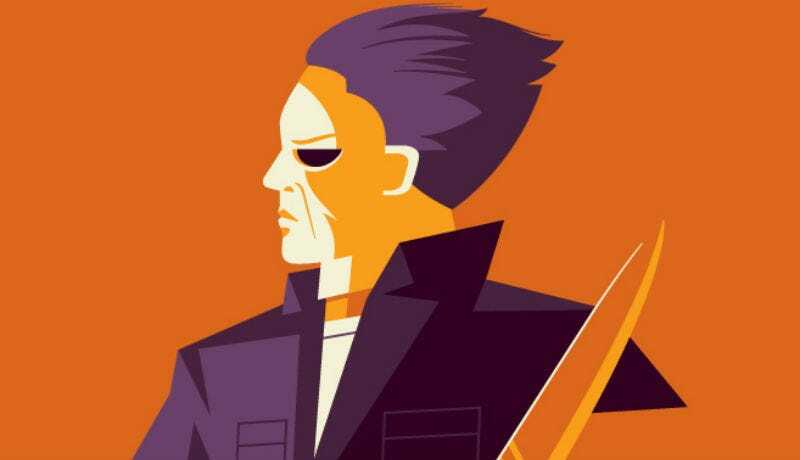 Artist Tom Whalen has now brought the majesty of the pop culture bust into two dimensions with these super cool art prints. Whalen’s latest solo art show, Bust’d 2: Bust’d With a Vengeance opens at Gallery 1988 West in Los Angeles on Thursday, March 3. It’s comprised of dozens of new limited edition art prints, metal editions, wood sculptures, sketches and more. Each takes one of your favorite characters and reimagines them as busts, in Whalen’s trademark geometric style. Here are just a few of the pieces, most of which are exclusive. There will be metal editions of every single piece in the show, some in editions of three, as well as a dozen wood sculptures and 25 sketches. The show will remain on display though March.